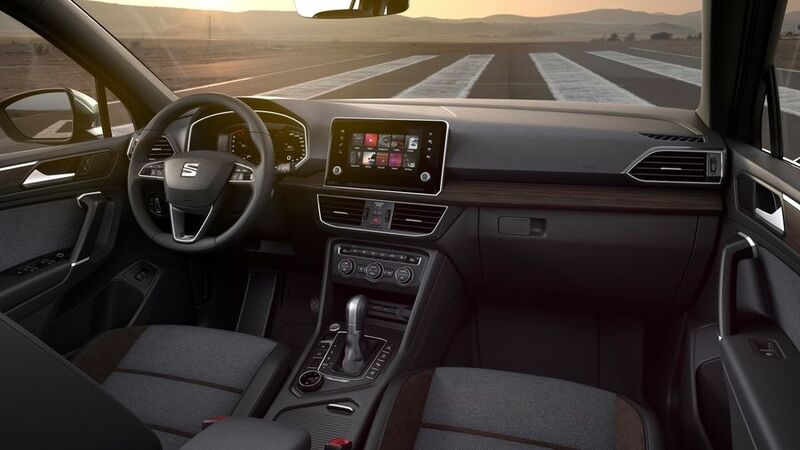 Seat's new large SUV, revealed at Paris Motor Show, rivals cars like the Hyundai Santa Fe and Volkswagen Tiguan. 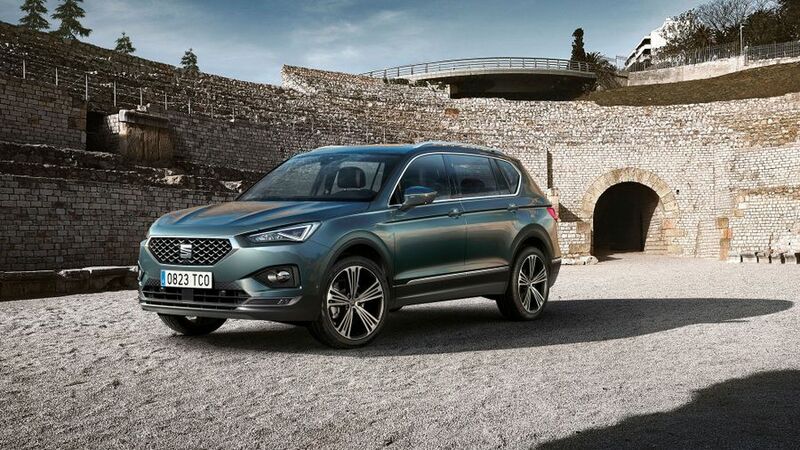 This is Seat’s new large SUV, called the Tarraco. Revealed at the Paris Motor Show, it sits atop Seat’s SUV range, above the Arona and Ateca, and will seek to take customers away from cars like the Hyundai Santa Fe and the Volkswagen Tiguan. 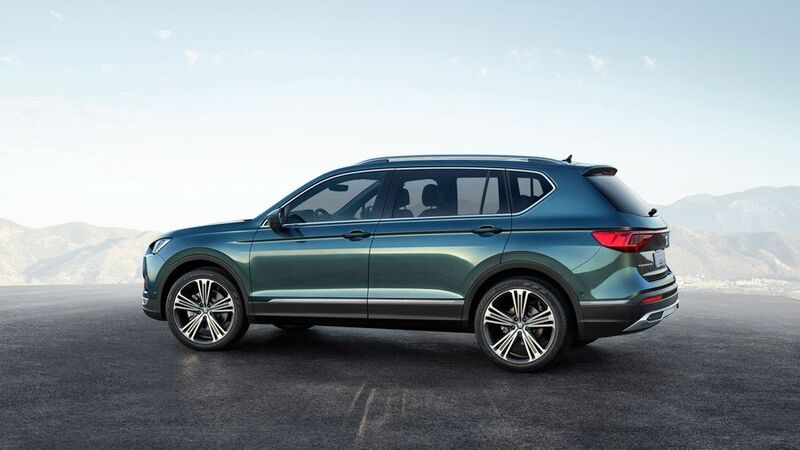 The Seat is bigger than both its VW Group siblings, the Tiguan and the Skoda Kodiaq, and will come in both five and seven-seat versions. The interior incorporates a large infotainment screen and a digital dashboard, and it’ll have Amazon’s Alexa installed too for various voice-activated functions. Gesture control will be available as an option, allowing you to control certain functions by waving your arms around like a wizard. Engine-wise, the Tarraco will initially feature a choice of two turbocharged petrol engines; a 1.5-litre with 150 horsepower and a six-speed manual gearbox and front-wheel drive, and a 190-horsepower 2.0-litre, which comes with four-wheel drive and a dual-clutch automatic gearbox. There will also be two diesels, which have similar profiles; the 150 horsepower versions can be specced with a manual or automatic gearbox, and front-wheel or four-wheel drive. A 190-horsepower version comes with four-wheel drive with an automatic gearbox. There’s no hybrid version at launch, but don’t be surprised to see one in a couple of years. The Tarraco’s name comes from the Spanish town of Tarragona, and was chosen by a public vote. It will go on sale in December, and prices will be announced later this year. Interested in buying a SEAT ?